The Devon MP will be formally announced as chair next week after his nomination for the post was unopposed. 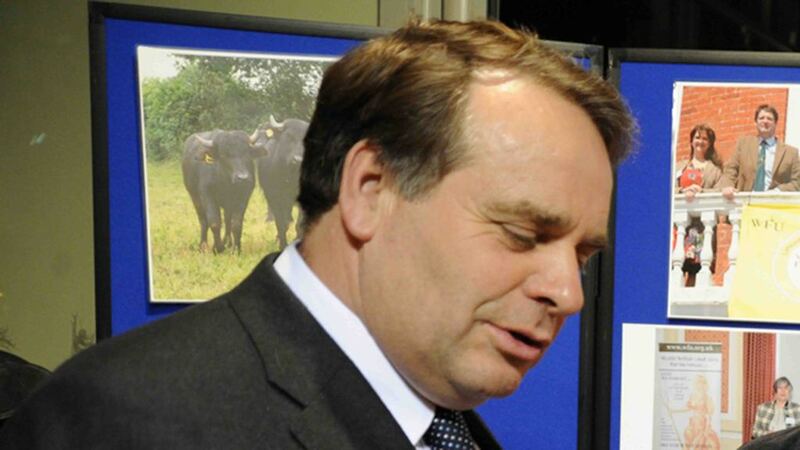 Devon MP Neil Parish will be the new chair of the influential Environment, Food and Rural Affairs Committee after nominations closed without another challenger coming forward. Nominations for the post, held by Ann McIntosh in the previous Parliament, closed at 5pm on Wednesday (June 10), with Mr Parish as the sole candidate nominated. He will therefore be elected as Chair, with the role set to be formally announced after elections for all the Commons committees on Thursday June 18. Last week, Herefordshire MP Bill Wiggin had announced he was putting his name forward but, in the end, decided not to challenge Mr Parish, who was always the front runner for the post. Mr Parish, MP for Tiverton and Honiton, is well qualified for the job, having chaired the EU Parliament’s Agriculture Committee during his time as an MEP and been a member of the EFRA Committee since his election as an MP in 2010. He received nominations for the chairmanship from a number of MPs across barious parties, including former Defra Secretary Caroline Spelman, former Defence Secretary Liam Fox and former Labour Defra Minister Huw Irranca-Davies. He has a family farm in Somerset and said he has spent more time as a beef, sheep, dairy and arable farmer than as an elected politician. Commenting on his certain appointment, Mr Parish said: "I am very pleased to have been nominated as chair of the EFRA committee. "Over the past five years, I have enjoyed being a member of the Committee and look forward to helping make sure that issues concerning our countryside, environment, flooding and food security are properly dealt with. "I also look forward very much to working with parliamentary colleagues across the parties to contribute to shaping policy in those areas." Announcing his nomination last week, Mr Parish said his farming background meant he understood the challenges facing farming today. "Both farmers and consumers need a fair deal, balancing the cost of food for shoppers, with farmers being paid fairly for their efforts. It is vital that the cost of living is not in conflict with the infrastructure of the countryside,” he said. He said animal welfare was at the ‘very centre of my focus’. CLA President Henry Robinson said welcomed the appointment. "Both in his role as MP for a significantly rural constituency and as a member of the previous Government’s EFRA Committee, he has been a dedicated champion of rural issues. "We look forward to working with him as the EFRA Committee shapes policy on issues concerning rural businesses, the environment and communities in the countryside." Has led a animal welfare number of campaigns including against bear bile farming in Chins and the banning of wild animals in circuses. The EFRA Committee, one of the 19 Commons Select Committees, is appointed by the House of Commons to examine the expenditure, administration and policy of Defra and its associated public bodies. Through its inquiries, which can take several months, the cross-party committee can play a vital role in holding Ministers, Government and agency officials and industry figures to account as it carries out investigations into topical. Areas covered in the previous Parliament included the milk industry, bovine TB, the CAP and flooding. The committee has powers to insist upon the attendance of witnesses and the production of papers and other material, although these formal powers are rarely used.